IHHP’s resource center offers you Emotional Intelligence tools and tips to help you perform your best when you are under pressure. These pressure tools have been developed from our research on Olympic athletes, CEOs, US Navy Seals and over 100,000 research participants. Over the past 15 years we have learned what it takes to better utilize pressure so it becomes a competitive edge. If you are looking to become pressure ready please review our material in our resource center. A term created by two researchers – Peter Salavoy and John Mayer – and popularized by Dan Goleman in his 1996 book of the same name. In practical terms, this means being aware that emotions can drive our behavior and impact people (positively and negatively), and learning how to manage those emotions – both our own and others – especially when we are under pressure. When would I need to manage my Emotional Intelligence? In his book Working With Emotional Intelligence, Daniel Goleman cites the Harvard Business School research that determined that EQ counts for twice as much as IQ and technical skills combined in determining who will be successful. Self-Awareness. Understand the impact you have on the people around you. Neuroscience-Based Change. Drive real behavioral change with a program rooted in neuroscience and research. Unleash The Best You Have To Offer. Discover why your best self is your best choice. Great Workplace Culture. Emotions are contagious. Improve relationship quality and build a culture of accountability. Exceptional Leadership. People leave managers, not jobs. Exceptional leaders bring out the best in their people. It’s a scientific fact that emotions precede thought. When emotions run high, they change the way our brains function… diminishing our cognitive abilities, decision-making powers, and even interpersonal skills. What is an emotional hijack and how can you best manage one? In case you need a few more strategies, Bill introduces you to a few (from the 22) our book has! Connect with a Leadership Consultant to discuss how you can get the most from your team! The business world continues to experience constant change: disruptive technologies, reorganizations, cost cuttings and mergers and acquisitions all create enormous pressure. It isn’t surprising that over 70% of change efforts fail to meet their stated goals. Part of the problem is that, according to IHHP’s study of 12,000 people described in the New York Times bestselling book, Performing Under Pressure, co-written by IHHP’s Dr. JP. Pawliw-Fry, most people take a haphazard approach to pressure. It doesn’t have to be this way. 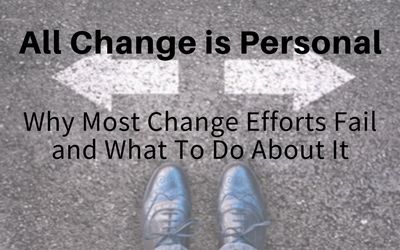 Managing the pressure of change is a learnable set of skills that was a key take-away from this webinar. Special thanks goes to your fantastic presenters, Dr. JP Pawliw-Fry, Bill Benjamin and special guest, Nancy Medoff, Director, Group Sales with Marriott International. The insight and strategies provided during our 1 hour webinar on August 19th, was very well received: 96% of attendees found the webinar valuable and applicable to their work. Thank you to those who attended. Your kind words are appreciated! During the webinar, a PowerPoint slideshow was used to assist in illustrating findings, strategies and insights on how to manage pressure. We encourage you to print the slide deck out and use it internally for your next meeting. Get your team engaged to learn how to manage pressure. Access the printable slide deck from this webinar by clicking here. By becoming a student of human behavior and learning how your brain responds under pressure, you can overcome the derailing effects of change. Your daughter is having pains in her stomach and yet the doctor can’t seem to find anything physically wrong with her. Your son is worried about the ‘big game’ but he doesn’t want to talk about it and you don’t know what to do. Your daughter seems constantly mad at you and you are not sure why. If you have experienced stories like this, you are not alone. When we parent or are in a role of influencing teenagers, life can be very challenging. In fact, research has found that we are at our unhappiest in our lifespan when we are parenting teens. It is difficult being a parent of a teen today. It is also, of course, very difficult being a teen. In this intimate, moving program, Dr. JP Pawliw-Fry and his teenage daughter Brigitte, discuss what parents who are under pressure can do to help teens who are under pressure manage life and pressure more effectively. They speak from each of their perspectives of being a parent under pressure and a teen under pressure. You will find tools and insights that will help you manage yourself a little more skillfully in those difficult moments and some coaching tools to help you help your teen manage pressure more effectively as they face their challenges. You will find tools and insights that will help you manage yourself a little more skillfully in those difficult moments and some coaching tools to help you help your teen manage pressure more effectively as they face their challenges. Sample the podcast first with this 2 minutes clip. Like what you heard? Buy the full podcast for $6.99 and percentage will go to the SashaBear Foundation, an organization that is focused on improving coping skills for teens who face mental illness. What Will You Do When You Run Out of Leaders? What’s Going on at Your Hospital? Managing Generations. The Big Disconnect. PODCAST: Leveraging the science of emotional intelligence to close more sales. What if everyone in your organization could be agile and resilient? How admitting to a mistake can lead to a promotion. If you are unable to attend these events, check out our speaker page and look into booking one of our world class speakers for your event. Bill Benjamin, partner at IHHP will be speaking on the topic of Performing Under Pressure at the governing body private dinner. Welcome to our news archives. Feel free to check out any of our links below. It may look like we missed a month here and there…we did not. We just didn’t have anything new to share for that month! If you currently do not receive our newsletter, please sign up any time by filling in ‘the sign up for news and research box at the bottom of every page of our website. You can opt out anytime and we promise…we will only email you a couple times a months. Oct 2016 Do you have the right EI to get hired? Sept 2016 Back to school-time for adults to learn too! Aug 2015 Manage the Pressure of Change – Meet your presenters. July 2015 Manage the Pressure of Change – Webinar Introduction. June 2015 Enhanced EI360, part three of building your COTE of Armour. May 2015 How to help a pressure-cooked CEO. Part two of building your COTE of Armor. April 2015 Official launch of Emotional Intelligence (EI) Virtual. Part one of building your COTE of Armor. March 2015 New York Times bestselling book announcement. Introduction of the four part mini-series, “Building your COTE of Armor”. February 2015 The high performing team-Choosing status or expertise? January 2015 Introduction to Emotional Intelligence (EI) Virtual. December 2014 Sneak peek including excerpt of our book Performing Under Pressure, The Science of Doing Your Best When it Matters Most. Welcome to IHHP’s Enterprise License Trainer Resource Center where our certified trainers have access to all the support materials they need to deliver our Performing Under Pressure training curriculum. Our resource center has a lot of information and we are happy to share this with you. If we have missed anything, let us know.